I’d like it to be promoted onto the main SEOmoz blog so please leave a comment saying it deserves it! Thanks! 20 hours after being published, the article has 18 thumbs up, 14 comments, 41 tweets, 34 Facebook LIKE, 35 LinkedIn shares, 472 visits, 834 pageviews, Avg. time on article 4:55, Direct Traffic 113, Search Traffic 56, Referral Traffic 261. The article is already in second place in the SERPS for “How to build contest” and it’s also in Google News! 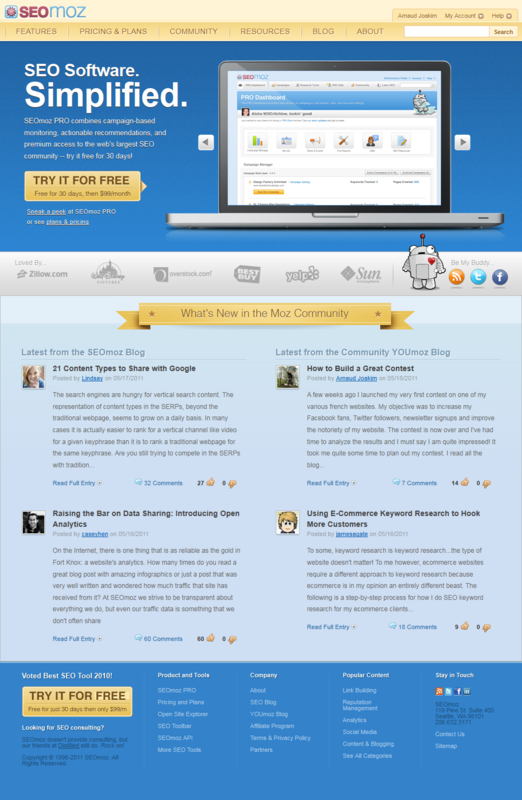 Until there’s another post on YOUmoz, my article is featured on SEOmoz.org homepage! New stats May 24 – 33 thumbs up, 38 comments, 458 tweets, 36 Facebook LIKE, ?? LinkedIn shares, 2047 visits, 3227 pageviews, Avg. time on article 4:57, Direct Traffic 431, Search Traffic 84, Referral Traffic 658. Online Marketing guru with 13 years experience. Expert in brand & website promotion achieving high levels of success in increasing traffic, conversion and revenue. Passionate about the internet and social media. Launched eMarket Elite Inc. in 2011 to help small Montreal businesses succeed in their Internet Marketing campaigns.